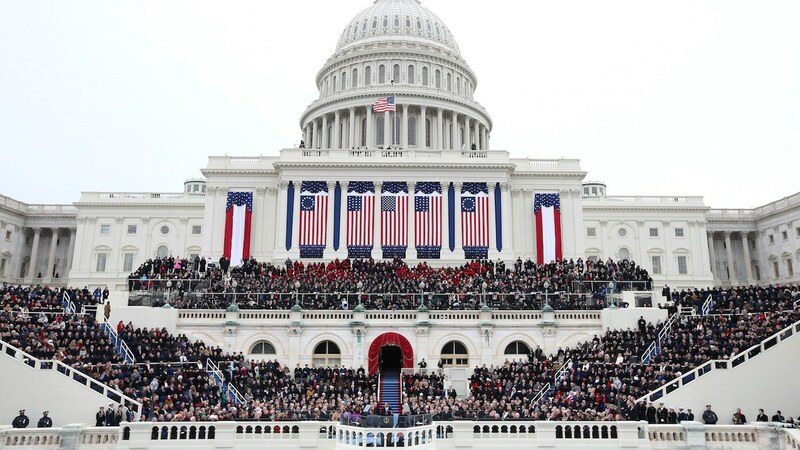 The astrology of the President Trump Inauguration on January 20, 2017 gives an indication of the style and success or otherwise of the first Trump Administration. The moon phases leading up to Inauguration Day 2017 point to a time of war and fear being transformed into a much brighter future. The President Trump Inauguration astrology chart is set for 12:00 pm on 20 January 2017. This horoscope supports the theme of the previous moon phases. President Trump will be a powerful and commanding leader of his administration. There will be strong enemies using every trick in the book to bring him down and delay the progress of his goals for the nation. However, by reaching out to the public he will gain their support to undertake a major transformation. New alliances will be made and there should be more peace than war. A good mix of traditional values and new age thinking will increase the wealth and prosperity of the U.S.A. over the next four years. The September 2016 solar eclipse personalized the fear and paranoia you became familiar with last year. Politicians direct their fearmongering at the voters and all this doom and gloom can really get you down. However, this solar eclipse also marks the beginning of the end to this poisonous worry and fear. Within this eclipse phase there comes a transition to a brighter and safer year ahead. The September 2016 lunar eclipse was angry and complex, adding warmongering to the fearmongering of the solar eclipse. However, a willingness to be daring and make changes will help you move past the anger and onto the exciting possibilities. More tolerance and empathy can lead to surprisingly fast resolutions of conflicts. Otherwise, the lunar eclipse square Mars will see new wars, worsening wars and wars within wars. The December 2016 new moon was is excellent for making dreams come true. It inspired with passion, romance and motivation. There are endless opportunities and possibilities but the general theme is definitely positive. Good fortune and lasting happiness can be found by taking the spiritual high road to reach your dreams. The January 2017 full moon positioned between the twin stars Castor and Pollux gets to the heart of ongoing conflicts. The original battle between brothers has evolved into the wars raging in the world still to this day. The wise old man plays the role of deal-maker to broker a peace. Conflict can be resolved through patience and hard work. Traditional values, a conservative approach, respect for authority and strict discipline will all help in bringing the two tribes together. The Ascendant is the most personal point in any horoscope and it will describe the basic nature of the whole four-year Trump presidency. There are two stars rising on the eastern horizon at high noon on Inauguration Day 2017. The timing here is critical because one star is fortunate while the other is most challenging. The good star will be closest to the 14°09′ Taurus Ascendant so has the major influence. Fixed star Almach at 14°27′ Taurus is the major influence. It gives honor, especially in military endeavors as well as eminence, popularity and great patience. The planetary nature of this star changes between Mars and Venus, War and Peace. Expect strict discipline from Trump, increased construction and mining. A boost to the military but he will patiently chose his fights with great care. Peace is the preferred option for Trump because it brings prosperity. However, he will wage war as a last option and win decisively. Fixed star Menkar at 14°33′ Taurus is the weaker influence. It causes disease, disgrace, ruin, injury from beasts, sickness, and loss of fortune. When rising it gives legacies and inheritances attended by much evil. Pluto trine Ascendant gives the Trump Administration increased power and influence to undertake major transformations to the Nation. It gives the United States Government more control over its own destiny. Sun conjunct Midheaven makes Donald Trump a powerful president who will dominate the administration. The president will take control with confidence and be a true representative of the citizens. This is a sign of popularity and success. Both the Sun and Midheaven in a mundane horoscope signify the President. Fixed star Altair at 2°00′ Aquarius gives the Sun a bold, confident, valiant, unyielding, ambitious and liberal nature. The Sun conjunct Altair gives public honor, notoriety and many friends. However, there will be some envious ones who cause trouble through writings. Danger of bites from venomous animals in this case mean danger to the President from the poisonous influence of enemies. Altair culminating with the Sun really matches the strong, confident and militant Donald Trump horoscope with Regulus rising with Mars. Moon sextile Mercury brings open and honest communication between the president and the public. This suits Trump’s style with Tweeting and public rallies. He will have the common touch and be able to accurately perceive the mood of the nation. Moon trine Neptune gives the presidency a caring and sensitive nature. There is an extremely close subconscious connect between president Trump and the American public. It brings high ideals and spiritual protection. Two positive Moon aspects like this is a favorable influence for the female population of the U.S.A.
Venus sextile Pluto is the tightest aspect in the horoscope with an orb of 0°07′. This suggests a positive transformation of women’s issues and a transition towards peace. The Trump Administration will reach out to forge new alliances and strengthen existing ones. The Treasury of the Nation will undergo a positive transformation. Mars square Saturn is the only challenging aspect of real concern in the Trump Inauguration astrology chart. This means the president will be frustrated by the limitations placed on him. There will be many strong enemies full of envy and spite, constantly criticising and blocking the desires of the president. Expect obstructionism, delaying tactics and a few temper tantrums. Jupiter opposite Uranus is not such a challenging aspect because of the fixed star with Jupiter and positive aspects to Saturn. It gives an excited exuberance and willingness to try new and innovative ways of running the country. Expect this administration to push the limits with social standards, philosophy, education and religion. There will be rapid and radical changes with some swings in fortune. Fixed star Spica at 24°04′ Libra with Jupiter is an excellent omen. This beautiful star greatly increases the chance of a successful presidency. This most fortunate of all fixed stars gives wealth, success, happiness and love. With Jupiter in brings spiritual development, protection, advancement and increasing wealth. The foundations of many significant buildings and monuments around The Capitol Building were timed and aligned with Spica in the minds of prominent Freemasons. Saturn trine Uranus takes us back to the beginning. This is the transition to a brighter and safer year ahead from the previous solar eclipse. This major planetary aspect takes the best of the past and transforms it for the future. A balanced mix of traditional values and innovative thought will ensure the safety and freedom of Americans well into the future. There are two stars rising on the eastern horizon at high noon on Inauguration Day 2017. The timing here is critical because one star is fortunate while the other is most challenging. It causes disease, disgrace, ruin, injury from beasts, sickness, and loss of fortune. When rising it gives legacies and inheritances attended by much evil. 1. “swearing in at noon by Supreme Court Chief Justice John Roberts Jr.” 2017 TRUMP INAUGURATION: SCHEDULE OF EVENTS, Newsweek. I think he’s doing a great job so far! TrumpCare is saving my life after the disaster that was Obamacare. And Thanks to teh buildng of the Wall and Muslim Ban we are much safer as a nation. Nunes is doing a great job keeping Pres informed, and though many smear Mike Flynn he is an excellent worker and doing many great things for the country. And have we ever had a Secretary of State so wonderful as Rex Tillerson? He is cleaning up the mess left by Crooked Hillary and haeling our rifts with other nations. And Pruitt is rolling back regulations on fake news like “climate” which everyone knows is a hoax!!!! God bless our president!!!!! To say that climate change is a hoax indicates a lack of knowledge! Conspiracy is a more accurate word,as it relates to the once secret council meetings of the Society of Concerned Scientists who in the interest of protecting all their future Government & Foundation Grants,needed to come up with an emerging disaster scenerio in order to contunue to enable their thousands of Scientific establishment member to become annually funded. Huge resourses have now been bundled into Research Institution Institutes & wealthy Scientists are loving it! How will the solar eclipse be affecting America and Trump. Jamie, you are the expert on all those fixed stars.